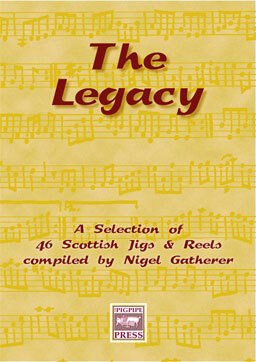 The Legacy was the first in a series of tunebooks Nigel Gatherer devised during the early 1990s to consist of a selection of Scottish tunes from various sources. For one reason or another, these books failed to materialise, but Nigel recently came across a number of test pages which he'd made to judge the look and readability of the layout. He has now collected these pages and presents a small, personal selection of tunes he's found and liked, and which hopefully you'll like too. This is an eBook (digital download, PDF format). For further information about the tunes and sources, click here.